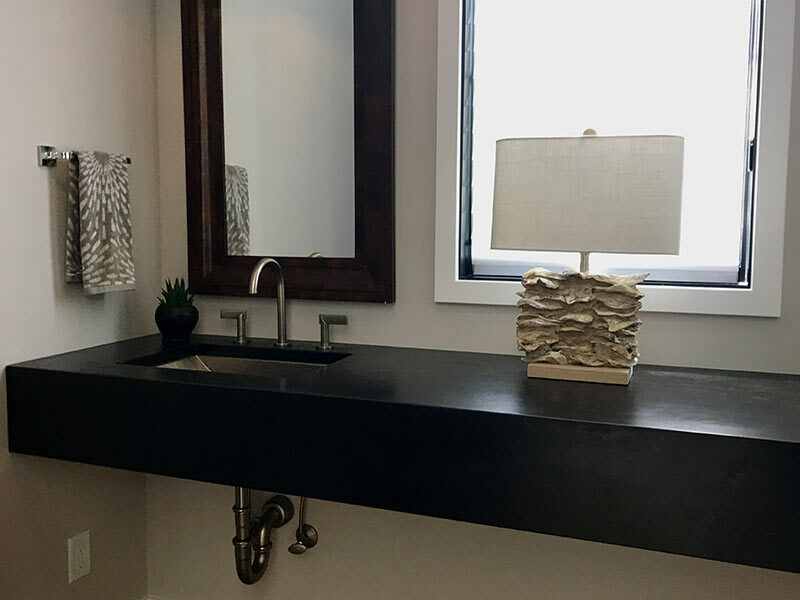 Dark oiled Soapstone counter with contrasting white double sinks looks great above the light bathroom vanity. 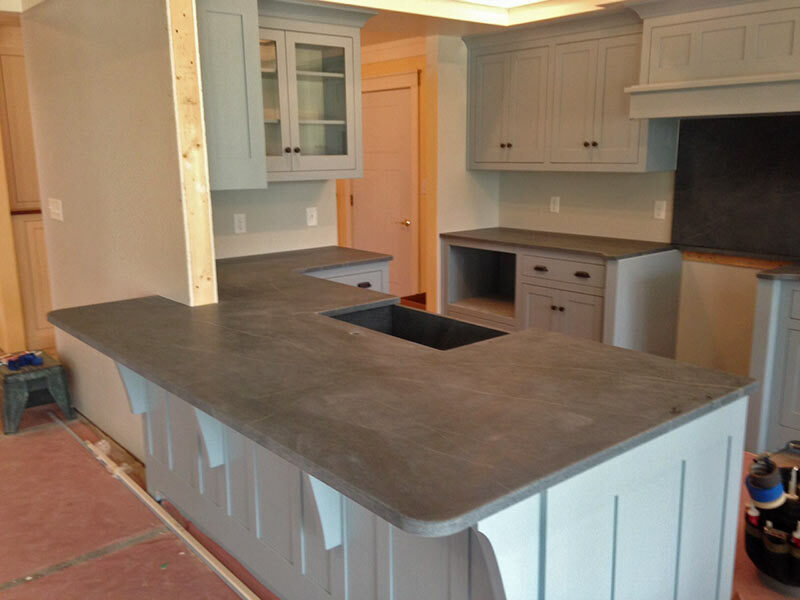 Black Soapstone kitchen counter and island tops. 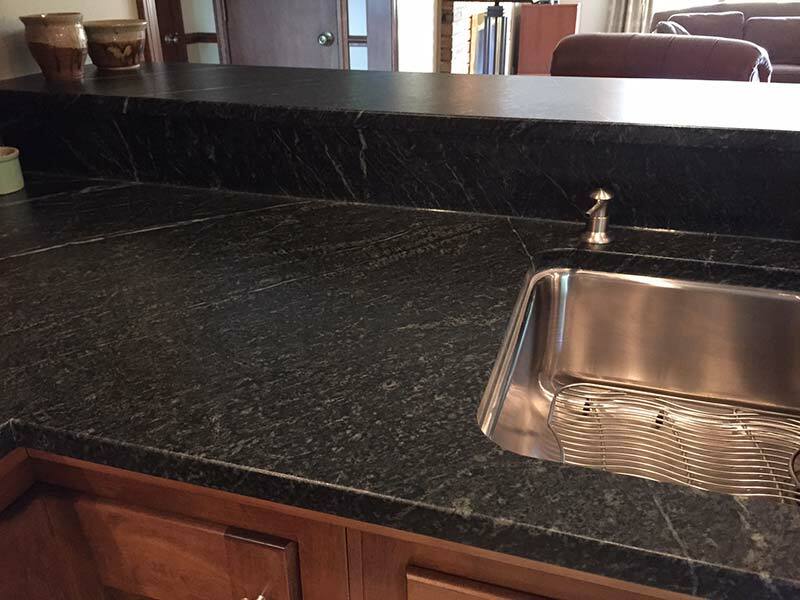 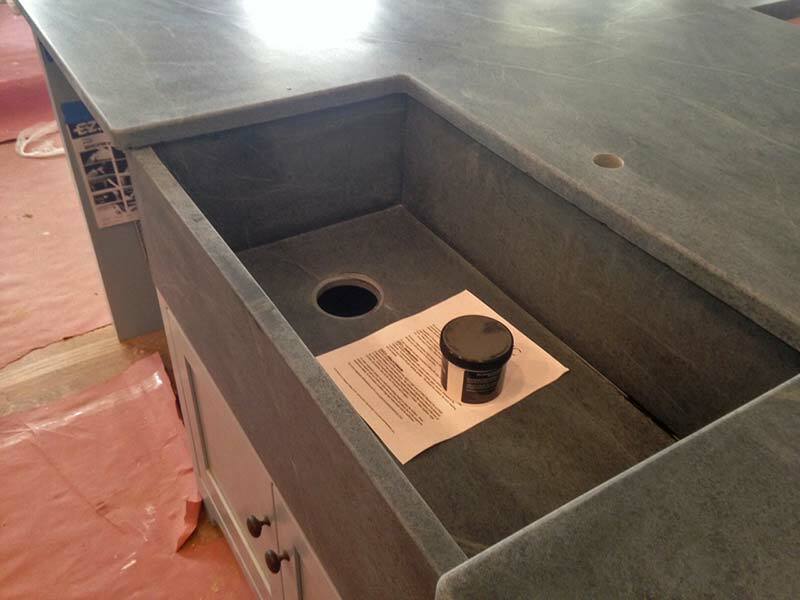 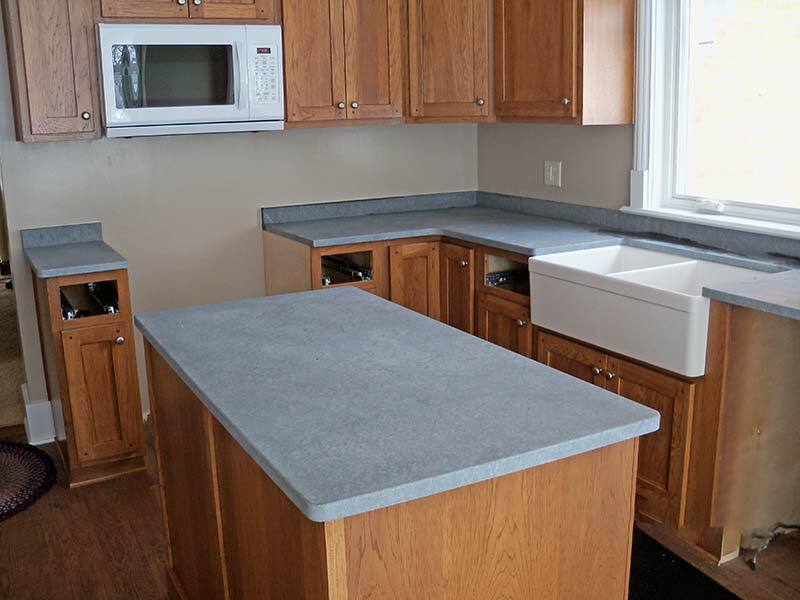 Black soapstone kitchen counter and sink. 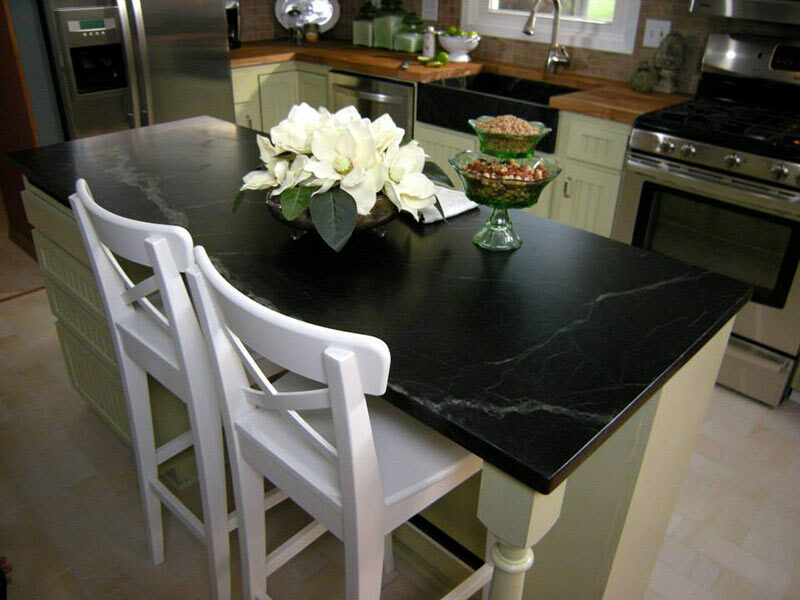 Oiled Black Soapstone playing up the contrast against white cabinets and chairs. 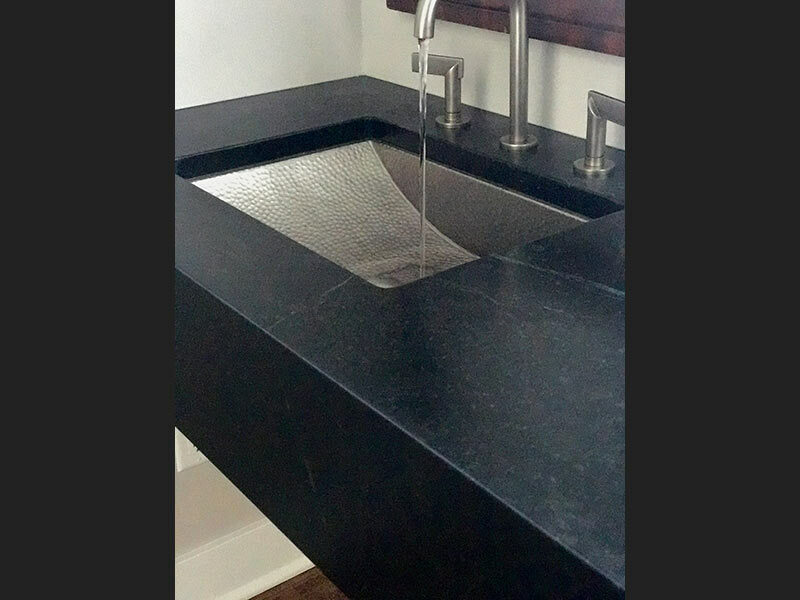 Oiled Black Soapstone bathroom counter with a hammered metal sink. 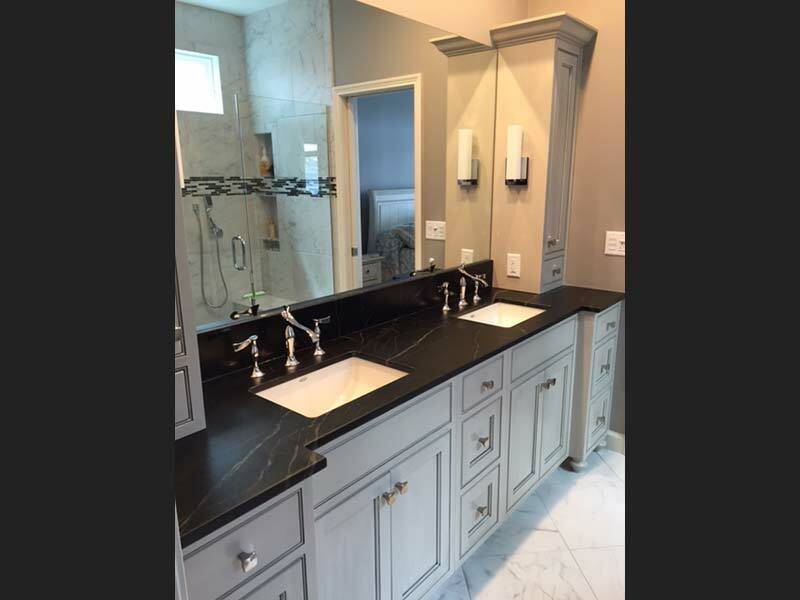 Oiled Black Soapstone bathroom counter.